Why would I need self storage in Westland, MI? There are a variety of reasons why you might need self-storage in Westland, MI. How much is a storage unit in Westland, MI? The cheapest storage unit in Westland, MI is $47.00 per month. What size storage units do you have available in Westland, MI? In Westland, MI we have sizes that range from 5'x5' to 10'x30' to suit your storage needs. How much is it for a 5'x5' storage unit in Westland, MI? The cheapest 5'x5' storage unit in Westland, MI is $47.00 per month. Westland is a large city in southeastern Michigan, located in Wayne County. The thriving suburb is about 16 miles from Detroit, putting the big city within easy reach. Thanks to its growing population, attracted by its many amenities, Westland is one of the largest cities in the state. Like many areas of Michigan, the land where Westland is now established was first home to Native Americans. The area was the site of a Potawatomi tribe's village and also a popular hunting ground for the Algonquin people. In 1824, settlers arrived in the area and began to create the community that would eventually evolve into Westland. In 1918, Henry Ford bought an old mill in the area and started to use it as part of his automotive empire. Parts of the city grew rapidly after World War II, providing much-needed housing for veterans and their families. Westland is home to a few major companies, including Ford Motor Co., Altain Engineering and Budd Company. Despite the unpredictable economy in the Detroit metropolitan area, Westland's unemployment rate is below the national average, which is good to hear if you'll be starting a job hunt when you arrive. Westland and neighboring Detroit offer a variety of attractions and entertainment, so you'll have plenty to do year-round. 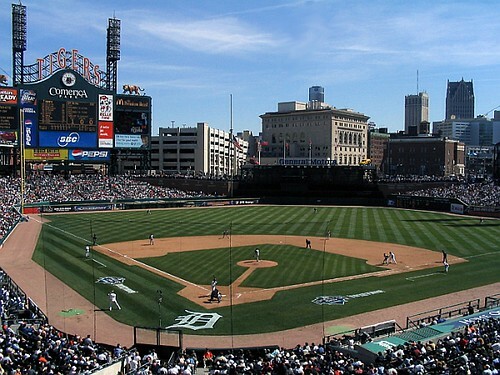 During spring and summer, a popular pastime is to head into Detroit to check out a Major-League Baseball game and cheer on the Detroit Tigers. Westland's proximity to Detroit puts plenty of shopping, dining and entertainment within easy reach. You can visit the Detroit Institute of Arts, the Motown Museum or the Guardian Building. In the warmer months, the Detroit Riverwalk is filled with visitors. The Westland Shopping Center is a popular hangout spot in the cold winter months, offering a variety of shops to explore. Wayne-Westland Community School District manages the public schools in Westland. There are also a few private schools in the area, mainly faith-based campuses affiliated with local Lutheran churches. Utilities: The city provides water and sewer services, sourced from the city of Detroit water system. DTE Energy supplies the area with electricity. Garbage and Recycling: Trash is collected on a regular basis, and yard waste is picked up seasonally. You can bring your recyclables to the city's recycling center. Transportation: Westland receives public transportation services from the SMART transit system, which connects most of the communities in the Detroit area. Westland has houses, condos and apartments to suit a range of budgets and preferences. This varied selection, combined with very affordable housing prices, makes it fairly easy to find a home in Westland. Whether you're planning to buy or rent, there are plenty of options to choose from. Our lowest priced units in Westland, MI average $47.00 per month. 70 people have reserved units in Westland, MI in the past 30 days. There is 1 location within Westland, MI's city limits. There is 1 location in Westland, MI that offers AC and Heating features.